The one and only bonafide producer of these famous little desserts, the La Mallorquina pastry shop, provides visitors, local fans, and many restaurants with boxes upon boxes of these sweet, Cava cork-shaped sponge cakes—light as air and topped with a crown of fine powdered sugar. The business was founded in the year 1700 by Joan Baptista Cabrisses, (a surname that can be traced back to pirate origins in the previous centuries), making it one of the oldest in Cadaqués. In addition to the “Taps” (meaning “corks”, and in production since 1800), the family also bakes up many other classic pastries and desserts typical of the Empordà region. Literally translated as “sea goat,” Cabra de Mar is known in English as a Spiny Spider Crab. Considered a true delicacy of the Costa Brava, this large, meaty crab is almost exclusively prepared in rice dishes. 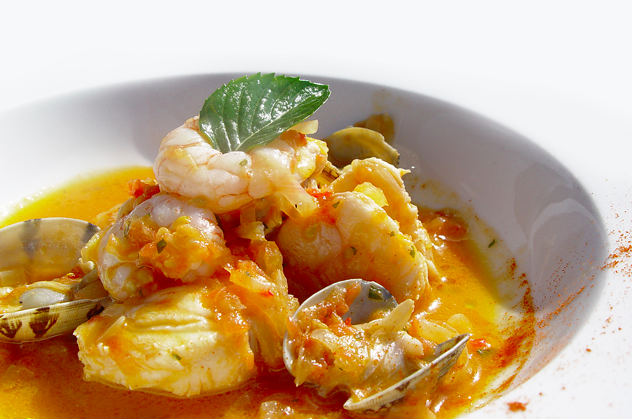 When discussing this cherished ingredient with locals, it’s a well-known fact that an Arròs de Cabra de Mar is even better when the crabs are carrying eggs, as these too are sautéed and stirred into the simmering rice as a potent finishing touch. Popular local restaurant Es Baluard features a Arròs de Cabra de Mar on their menu, as does Can Rafa (periodically), though the version at Can Rafa also includes Mediterranean lobster (llamàntol). Called fenoll marí (or sometimes fonoll marí) in Catalan, Sea Fennel is often known as “Samphire” in the English-speaking world. The scientific name for this seaside flowering plant is Crithmum, and it has been an ingredient in the cuisine of Cadaqués for centuries. Growing not in the sea, but along its edges, this green, spongy-leafed plant with small clusters of yellow blossoms can be eaten fresh, pickled, or infused into olive oil. In addition to culinary uses, the medicinal properties of sea fennel have been recognized for eons. With a bright, lemony, spicy taste and substantial texture, the slender green leaves are used as a garnish on delicate dishes such as Tuna Tataki at the Enoteca MF wine bar, and Salmon Tartare at the restaurant Es Racó. Es Racó C/ Doctor Callís, s/n. Cadaqués. The simple and delectable peix fregit (fried fish) is approached in a multitude of ways throughout the world, from the battered “fish and chips” of Britain to a much simpler and purely unadulterated dish that is enjoyed in Cadaqués. Here, small, local fish are lightly dusted with flour then deep-fried whole to a crispy, light-golden brown with no extra fuss. Some people would even go so far as to forego the flour entirely, though this little addition adds an essential, delicate crust. Know your lemon etiquette: Though serving lemon wedges with seafood is part of the local tradition in Valencia and the Balearic Islands, in most of Catalunya (Cadaqués included), putting lemon on fish and seafood—be it fried or within paella—is frowned upon and is considered insulting. It is as if to imply that the fish isn’t fresh enough and an “off” flavor must be covered up. There are a few sources of authentic, artisanal, salt-cured anchovies in Cadaqués. The first is none other than the famous Quimeta, the anchovy celebrity of Cadaqués for decades. Her “brand” of carefully cured local anchovies is Anxoves la Quimeta, which can be found at the delicatessen Carnisseries Serra-Plà, at the foot of Cadaqués’s Medieval Jewish quarter. Another source of these authentic, tender treats is the Perruquería (hair salon) Eva Giró. Yes, this hair salon (owned by the Giró family) also doubles as a little shop for this family of master anchovy fabricators. Indicated only by a little sign—”Es venen anxoves de cadaqués” (“Anchovies of Cadaqués for sale”)— there is a separate room, apart from the hair salon, full of jarred anchovies of exceptional quality. These aren’t the type of salty filet that live eternally in squat tin cans on grocery store shelves. These are fresh products (though salted) with expiration dates clearly indicated. When fishermen of Cadaqués used to head out to sea for days at a time, they would bring tomatoes, onion, potatoes, and garlic along in the boat to cook the traditional fish stew known as suquet de peix, with the addition of their fresh catch. The most typical, firm-fleshed fish that be lend themselves to this ultra-simple soup are the Dusky Grouper (mero), Gilthead Bream (daurada), Monkfish (rap), Eel (anguiles), and—most important of all—the Red Scorpion Fish (escórpora). Unlike other traditional fish stews of the Mediterranean in which the fish and vegetables are first sautéed before adding liquid, a true Cadaqués suquet is solely simmered. The Cadaqués restaurant Es Balconet is known for serving an excellent, traditional version of this stew, and (according to the locals) even if the suquet isn’t on the daily menu, the chef has been known to whip one up from scratch with the “catch of the day.” So, ask your server. 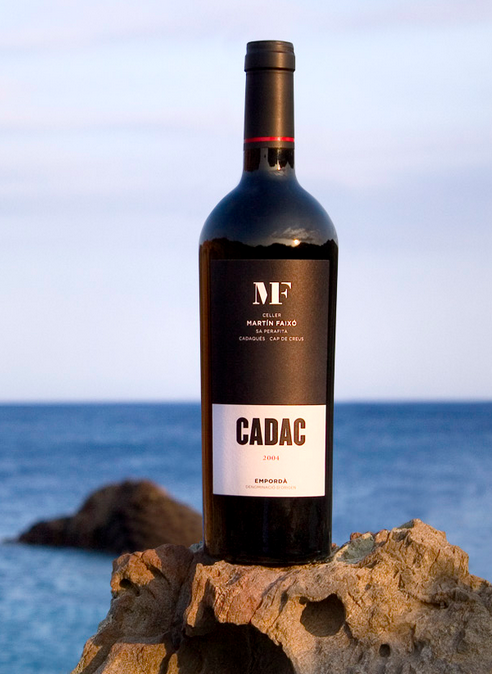 The Celler Martín Faixó in Cadaqués makes a variety of wines (three reds, one white, one rosé wine, one Cava brut nature, and an oak-aged vermouth made with Cabernet Sauvignon) at their farmhouse winery, Sa Peraftia, but their finest label is without a doubt “Cadac” (a name taken from the name for the juniper tree). This wine is a true expression of the local terroir of the Alt Empordà (D.O Empordà), a blend of Cabernet Sauvignon and Garnatxa (Grenache), aged for 12 months in French “Allier” oak from the famous oak forest of Tronçais. With aromatic notes of berry compote, balsamic vinegar, licorice, clove, and wild herbs such as rosemary and thyme, this full-bodied red is still elegant enough to be enjoyed on its own, or with steak, wild game, or embutidos (cured meats). A brand of dairy products from the province of Girona and available at local supermarkets, the “Mousse Cafè” is my favorite. FYI: the Novavenda supermarket is the cheapest all around place in Cadaqués to shop for groceries. It’s right at the entrance to the town on the main road by the roundabout. This little fish is very rare and only in season in March and April. 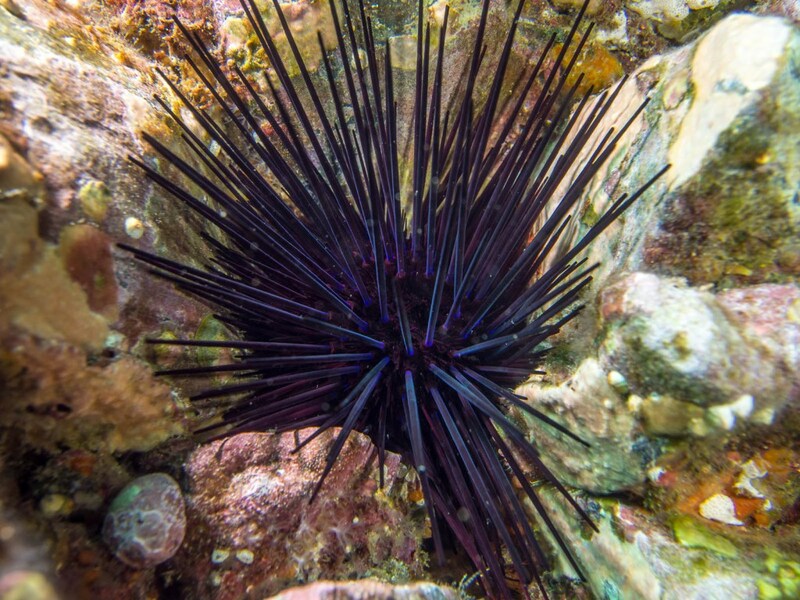 The wild catch is often small, as they are only ever found right off the coast of Cap de Creus as they make their way south. Locals know that these little fish simply fried or cooked with rice are delicious, so they may often keep them all for themselves. If you do get a chance to try them in a restaurant or (even better) in someone’s home, you’re in for a truly authentic treat. 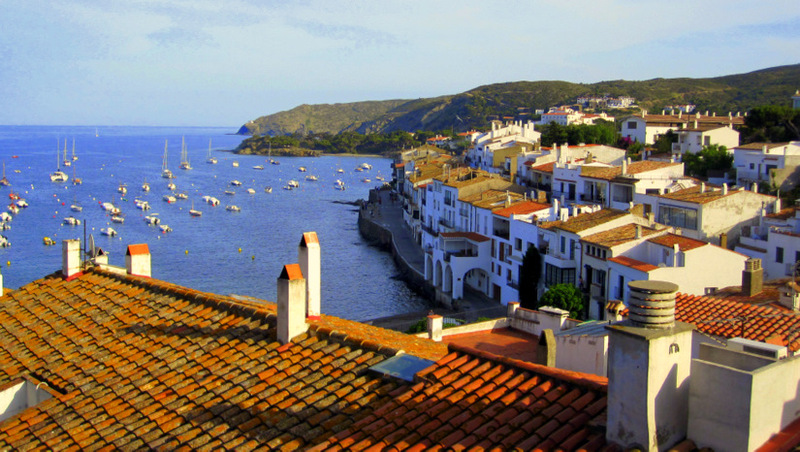 If you’re keen to explore the gastronomic treasures of Cadaques, let us know! We’d love to show you our hidden spots known to few, but appreciated by many!